More specifically, it was created with the aim of supporting humanitarian operations in the field. Focus on information derived from satellite imagery and field data. 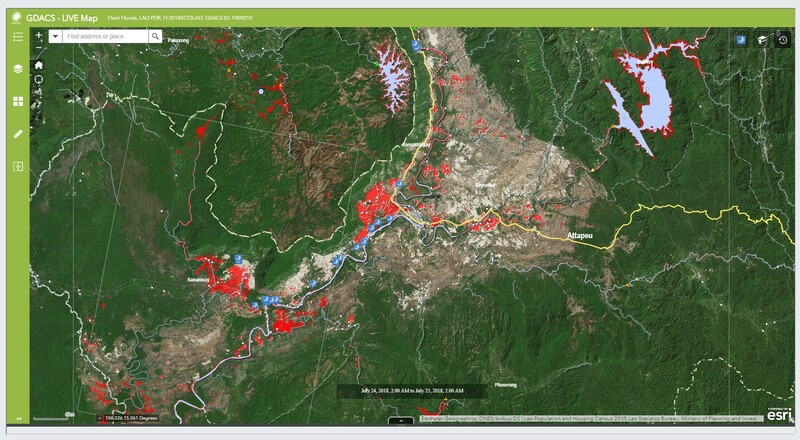 Up-to-date and comprehensive satellite image derived flood analysis are displayed, together with photos automatically uploaded from the UN-ASIGN smartphone app. Additional supportive GIS data are also included on the map.